Couldn't find any libraries, plus it's Labor Day, so I'm at a random hotel poaching their computer. I hitched into Anchorage today, waiting for my flight to Portland tomorrow night.Life continues magical, but has also had tragic moments. My cousin,Annie and her twin sister's daughter Megan came into Homer weeks ago. Annie was planning to take us to Denali for a camp-out, but Megan's dad suddenly died, and they had to fly back to San Francisco. Megan was totally torn up, of course. Since last writing, I spent most my time in Homer, not doing much. But it was good, cuz I was having a usual bout of chronic fatigue. The day before I left, 3 young guys were unnaturally friendly and offered to buy me coffee. I knew right off from their insincerity they had a religious agenda. Sure enough, they were with "Youth With A Mission." I like talking religion, if it's real. But it rarely is. Those boys seemed cool & likable enough, but I wasn't talking to boys, I was talking to a "YWAM," a system. The majority of interaction in this world these days is not human, but with systems, either corporate or religious. Imagine loving for the sake of loving, without ulterior motives! That was my cue to leave Homer. I got a couple rides in the back of trucks, then a ride with a couple from Grand Junction, Colorado (where I went to high school, & part of my family is), then from a guy named Terry, who brought me to Gerdwood (37 south of Anchorage). So I stayed in Gerdwood for a while. A charming town, awesome scenery, nice people, & luscious berries. A little problem was I was back in mosquito country. Last time up here I was tormented by 'em all night long. They even bite through my sheet-bag, PLUS a layer of clothing! I have refused tents before, because I prefer a simple tarp - easy put-up, easy take-down. But this time I thought a tent would be nice. In the evening, walking the bike path, I noticed a pile of free stuff. With a Northface tent, almost new. So not even a night in mosquito land without a tent. Even then, my faith was going through a usual slump, also despite that I'm coming on my 7th anniversary of being moneyless, without a full day hungry. Dumpstering is hard in AK. People don't throw out as much! Maybe it has a lot to do with bears, too. So I had the notion of leaving Gerdwood. I spent one day all day hiking the backcountry. I started fatigued, but then started gorging on berries galore. My hunger & fatigue vanished. In fact, I felt better & more energized now than anytime before this summer. I got back to my camp, feeling content, satisfied. But my mind kicked in, saying, "You should get some carbs." So I went to a Pizza place & found pounds of fresh dough. I cooked it & ate it, even though I wasn't even hungry for it! But it was addictive. I was full. Then, ironically, fatigue & craving set in! This isn't right, I thought. I thought how I spend too much time thinking about food, searching for it. Yet it comes when I stop searching, stop thinking about it. 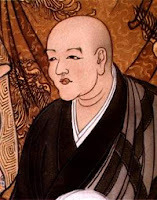 Both Jesus and the Zen sage Eihei Dogen (who brought Soto Zen Buddhism to Japan a thousand years ago) say not to search for food or clothing, that it comes if you seek first the Kingdom of God (says Jesus), seek first the Buddha Way (says Dogen). Who believes this??? Certainly not your usual professed Christian or Buddhist. So I resolved to stop searching. Next day I went to find water to bathe. I found a creek, and it was full of spawning salmon. Too fast to catch. Nine years ago it took making a good spear & hours to spear a river salmon. But I noticed many fish were dying, energy spent. So I stepped into the creek, and an energy-less fish passed right under my right-hand grasp, like it gave itself to me! Now that's beautiful, I thought. Then I reached down my left hand and grabbed another. Dinner & Breakfast! Granted, the fish didn't taste too good - energy spent & unhealthy skin. I went back a couple days later and discovered I could catch healthy fish if I passed up all the fishermen, who wait all day with their lines & hooks, and just be still. Small creatures see time more slowly than large. If you move slowly enough, you are like an clock's hour hand to the fish. So I found I could creep right on them and gently grasp them at the gills. It's so easy it's funny. I even went to the river and tried the same with the really big salmon. So easy! So I've been living off the land, so at ease, chowing on berries & fish, without nary a tool but a knife to cut the fish. And I feel more splendid than before! I've had a bear's diet! And my poop has become black as the ace o' spades, and full of seeds, just like the bear poop. Who On Earth Believes Their Own Religion? 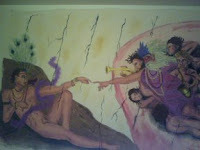 "The world in which people give and receive things without saying "Give it to me!" is the truly beautiful world. It differs from the world of scrambling for things. It is vast and boundless." (Sawaki Roshi). Then all things in your world are pure. And remember the Sunday school stories of manna from heaven (Exodus 16) and Elijah fed in the wilderness (1Kings 17:6-16)? There are droves more quotes of scriptures, and also Muslim quotes, from Sufi sages, which I don't have on hand, as well as Christian Rhineland and Bahai sages. And for Mormons, the entire book of Fourth Nephi couldn't state it more beautifully. Imagine that, all the civilizations of the world claim these sages as their foundation, as their very heart, yet none believes them, yet all are wallowing in materialistic greed and worry and strife. I myself am thick-skulled, still coming to believe these sages, who are really only One Sage, One Way. Keep your eye Single, One, and all else falls into place. Again, to Christians, I still repeat: before you start harping again on the falseness of other religions, I challenge you to first believe your OWN religion, and then you will see whether or not I am blowing hot air. Hopefully you won't be able to tell if I am praising Mormonism or defaming it, speaking Good of Joseph Smith or speaking Evil of him. Hopefully you won't be able to tell if I am praising all religion or defaming all religion. Hopefully your mind will be blown beyond thought. A few weeks ago some Mormon missionaries came to talk to me. Of course we talked about the Book of Mormon. I also spoke of the truth in all religions. So far we all agreed. Eventually they said that, despite truth in other religions, the Church of Jesus Christ of Latter Day Saints is the Only True Church. This is when I shooed ‘em away. 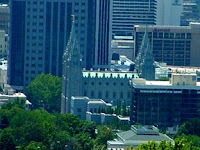 The late Joseph Campbell pointed out the Mormon Temple in Salt Lake City as a prime example of how the place of worship used to be the central and highest point in most any town or city in the world. But in modern times, he points out that the financial institution has become the center of devotion, dwarfing the temple. MK Gandhi observed that you see no greater reverence & devotion than on the faces of people in banks. 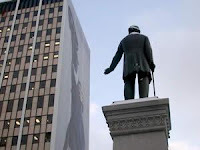 People like to joke about the Brigham Young statue turning his back to the LDS Temple, outstretching his hand to the Zions Bank building. Yes, it was Brigham Young who founded Zion’s First National Bank in 1873. 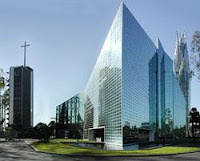 [Zion's Bank, left; Evangelical Mega-Church, right; Tokyo Buddhist Temple, below]. 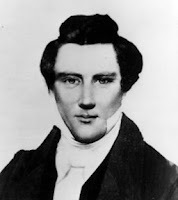 In the early 1800s in New England, an adolescent name Joseph Smith questioned why there were so many religions, each calling itself The Only True Church. So he asked God for wisdom. Eventually he saw visions telling him none of these churches were right. Then came the Book of Mormon. It caused a big stir. Mormonism was born. Later Mormonism split into sects, each calling itself The Only True Church. The largest sect of Mormonism is called the Church of Jesus Christ of Latter Day Saints (LDS), the brand we get here in Utah. Now we have another Only True Church added to the pot, playing with more adolescent heads. Organized religion is Ego. Collective Ego! Droves of Collective Egos the world over each call themselves The Only True Church. I grew up in a Collective Ego called Evangelical Christianity, again calling itself the Only True Church. The Only True Church I belonged to literally called the Mormon Church “the Synagogue of Satan.” The Only True Church hates the thousands of other Only True Churches. People tell me that Buddhism is not bigoted like Christianity. It definitely has very little bigotry compared to Christianity. 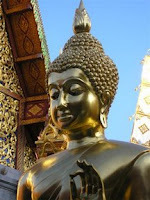 However, about 7 years ago I spent time in a Theravada Buddhist Monastery in northern Thailand. Here I heard a sermon by a prominent monk. He said the Way was taught by the Buddha and only the Buddha. This Way, he said, was passed down in direct lineage from the Buddha to monks like he himself. And only this Way could bring us salvation (Nirvana) and that all other religions missed the mark. I had flashbacks to being in a Christian church. Then there is the ongoing war in Sri Lanka, where the right-wing Buddhist majority, with the wealth and political power, has been persecuting the Hindu minority for centuries. And when I visited near Dharamsala, India and taught English to a Buddhist monk, he assured me that the Theravada Buddhist Way in Thailand, unlike Tibetan Buddhism, missed the mark. However, I did attend talks by the Dalai Lama near Dharamsala, in which he advised most us Westerners to stop grasping for truth in other religions, like Tibetan Buddhism, and find the truth in our own. This was the first religious leader I'd ever heard try to encourage folks to grow where they are planted. Again, I spent time hanging out with Hari Krishna Devotees. Like the Mormons, they at first made themselves seem open-minded, saying that all religions teach truth. But their agenda eventually came out. They told me the Hari Krishna movement is the Only Pure Faith, that the Hindu scriptures, especially the Bhagavad Gita, are the only purely God-inspired scriptures. Prabhupad also says this in his comments in his translation of the Bhagavad Gita. The Ego is a clever Snake, eh? Clever, but ridiculously not self-aware. Ah, the Grand Practical Joke! Each Collective Ego, Each Religion, ironically states that Ego (Pride) is the source of all evil. “Ego comes before fall,” the Bible says. Each Organized Religion in the world indicts itself. Ego’s manifestation is materialism, greed, love of money, attachment to Credit and Debt – all called idolatry. Could it be more obvious? The Snake chomps its own tail - perpetually! Jesus said, "Woe to the Pharisees! They are like a dog sleeping in the cattle manger: the dog neither eats nor lets the cattle eat." (Gospel of Thomas 102. Here Jesus quotes Aesop’s Fable of the dog in the manger). Anyway, back to Mormonism. I once had a Jack-Mormon boyfriend who told me a great secret: "Joseph Smith was a Trickster." This intrigued me. Over the years I tried many times to read the Book of Mormon. But I couldn't help but see it as the silliest book I’d ever read. I couldn't get past the first few chapters. And I couldn't get past my view of the LDS Church as one big Financial Corporation posing as a religion. But I live amidst Mormon culture, and millions of devoted people feel deeply about the Book of Mormon. Just out of simple Golden-Rule respect, I must see through their eyes. So just a year ago I picked up the Book of Mormon again. This time I resolved to take on the Zen mind, the mind of no judgement, the mind of the infant. Forget about everything I’d heard about the Book of Mormon or Joseph Smith or the LDS Church! Read it with a soft heart, an open mind. Lo & Behold, I heard the Eternal Laughter of the Universe burst forth! The silliness of The Book of Mormon is its Divine Genius! The silliness is its Gargoyles, its Nagas, guarding the Temple, the Cherubim guarding the Tree of Life: only the ego-less mind can enter! 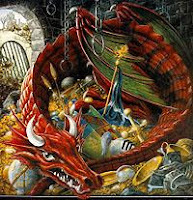 The silliness is the Serpent coiled around the treasure, the blind Church of Greed sitting in the manger – you know, the one that calls itself The Only True Church! A big point of ridicule of The Book of Mormon is that folks feel it is poorly written, in Old English, and it repeats whole tracts of scripture, usually word-for-word, from the King James Bible. It especially repeats the phrase “it came to pass” to the point of absurdity. “It came to pass” is the laughingstock of the Book of Mormon. It keeps respected scholars away. Just a few weeks ago I found a new translation of the Book of Mormon into plain English, Modern Revelation, translated by Thomas Johnson, a non-Mormon pragmatist, actually published here in Moab. He simplified its verbose-ness and deleted “it came to pass”, condensing it to a very small book. Mormons don’t approve of it. Strange, but in my deepest core I agreed with them: I felt its strange mystery had been stripped away. Could it be that “It came to pass” is the very theme, the Holy Mantra, of the Book of Mormon? The mystery deepens. Every sub-book in the Book of Mormon is saturated with “it came to pass” – but then it is mysteriously absent in the last sub-book, Moroni! 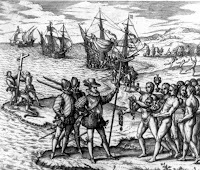 Not a single instance of “it came to pass” in Moroni! Why? The mysterious answer is there, if you look. If there is right, there must be wrong. And illusion and enlightenment cannot be separated. This is an old truth, don’t think that it was discovered recently. the other the Way that leads to Nirvana. the other the Way that leads to Reality. "There Are Only Two Churches"
Only illusion comes to pass. 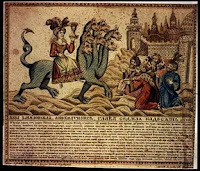 This is a direct reference to the Whore of Babylon in the 17th and 18th chapters of Revelation in the Bible: the Whore who is the Religion of Commerce. The Book of Mormon states that the Whore Church is dominant, huge, & universal, not limited to any single culture or denomination. And we see that the One True Church is small, yet also universal, not limited to any single culture or denomination. If the Book of Mormon is true, the huge, wealthy, and powerful LDS institution simply cannot be the One True Church that it says it is! Aren't the basic teachings of Jesus (summarized in the Sermon on the Mount, Matthew 5, 6, 7) missing from "Christian" churches? Here's the challenge: ask yourself if you have ever witnessed any Evangelical leader or Mormon president or Apostle even go near Jesus' basic teachings with a ten-foot pole, much less actually follow them! Wouldn't hell freeze over before you ever saw Pat Robertson or Jerry Falwell or Billy Graham preach the basic teachings of Jesus? The Bible itself calls the baskic teachings of Jesus the Gospel, and these imposters claim to be ministers of the Gospel. Anywone who dares follow the teachings of Jesus cannot help but see that they are the teachings of the Buddha, Krishna, Lao Tzu, Muhammad. The Quran itself states that if Christians and Jews simply followed their own religion, they would also be following Islam. Islam means "Surrender" (Quran 5:69). Notice how those who harp the loudest that Jesus is the only way don't even begin to follow his teachings. Blind eyes cannot see that the One Way is Omnipresent, Universal. Yes, Nephi speaks the Profound Message: there can be no unity, no one-ness, with possession. 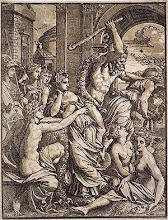 With possessiveness comes duality and divisions, the separation of male and female, the birth of “isms” and “ites”. The Book of Mormon, like the Bible, like the Quran, promises that wealth and blessings come to the spiritual seeker. Seek first the Buddha Way, Zen Master Dogen says, and all that you need comes to you. Seek first the Kingdom of God, Jesus says, and all you need shall be added to you. "Yippee" say the John Osteens, Gordon B. Hinkleys, Pat Robertsons, Jerry Falwells, and George Bushes as they build their own coffins. Religion, which denounces greed, is twisted to justify greed. Only when we possess nothing are we rich, their own sages teach. Only the non-possessive can enjoy things. Only those who let go can know love. …that my name should be had for good and evil among nations, kindreds, and tongues, or that it should be both good and evil spoken of among all people. Simple observation shows that it is the Organized Religion (whether called Catholic, Buddhist, Jewish, Hindu, Sikh, Mormon, Evangelical, Muslim, whatever) that promotes greed, war, hypocrisy, genocide, bigotry, environmental destruction, extortion, nationalism. Yes, there are only two religions in the world: One is the Church of Reality, the other the Church of Illusion, servant of Mammon. The Church of Illusion is so good at illusion it can disguise itself as thousands of religions, each calling itself The Only True Church. Each seems in conflict with the next; but don't be fooled - they all work together pefectly as one single destroying machine.